Over the past eight years, there has been an alarming 42% increase in ADHD diagnoses among children. Is Fluoridation driving your kids crazy? A whopping 6.4 million American children have been diagnosed with ADHD, and are given mind-altering drugs like Ritalin to treat it. ADHD is a complex disease, and not all of the factors that cause it are known, but one is: An alarming study in the Journal of Environmental Health reveals that there is a strong link between water fluoridation and ADHD in children and adolescents. The EPA recently issued a new rule which lowered the recommended level of fluoridation due to research that revealed that children were developing dental fluorosis – spotting of the teeth. Recent research from the UK revealed that there is a link between fluoridated water and underactive thyroids in women. This research revealed the cause: Fluoride binds to iodine, an essential nutrient for thyroid health, resulting in iodine deficiency. Another study done in 2013 showed that fluoride was present at high levels in the arteries of people who died from coronary artery disease. In fact, 96% of the test subjects in the study showed significant levels of fluoride and calcification in their veins. If your water is fluoridated, and you drink it, you may be drinking yourself into an early grave. The new recommended level for water fluoridation is 0.07 ppm (parts per million), which is more than twice as high as the level of fluoridation found in the UK study – 0.03 ppm – to be linked with hypothyroidism. Thyroid disease is at epidemic proportions, about 20 million American women have some form of thyroid disease, and most of them don’t even know they have it! Help is definitely not on the way, it took the EPA four years to react to the dental fluorosis epidemic. The only way to protect yourself from fluoridation is to eliminate the fluoride in your water. Drinking bottled water doesn’t protect you. Many bottled waters are fluoridated, and besides you need water to cook with as well. So even if you drank just bottled water fluoride would still enter your system from your food. Besides, bottled water is a lot more expensive than a water filter! 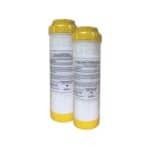 The ultimate anti-fluoride filter is Life’s Fluoride Super Filter AR-100. In independent lab testing, Life’s Super eliminated fluoride, the lab couldn’t find any after filtering the water with the Super Filter. The test used water with 4 ppm fluoride – which is 57 times higher than the new EPA limit! 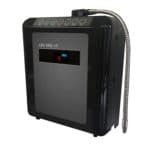 A Life water ionizer with an AR-100 Super Filter can protect you from fluoride and enhance your body’s ability to expel it at the same time. Your kidney’s ability to expel fluoride is pH dependent. If your urine has a pH of 5.5, your kidneys can only expel 5% of the fluoride that may be present in your bloodstream. But raise that blood pH to a pH of 7.5 – easily doable with alkaline water- and your kidneys can expel 65% of the fluoride in your bloodstream! 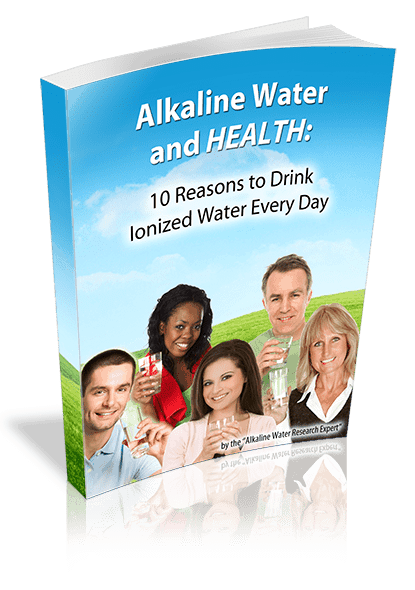 A Life water ionizer is simply your best defense against potential harm from fluoridation. Equipped with the Super Filter, your Life Ionizer filters the fluoride out of your water and enhances your body’s ability to expel fluoride at the same time! 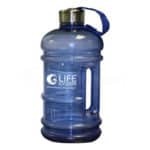 Best of all, if you want the anti-fluoride Super Filter, Life Ionizers will include it free with the purchase of any Life Ionizer. Medscape. Medscape. Web. 9 Jul 2013. <http://www.medscape.com/viewarticle/735486>.